The pursuit for design improvements by geometry modifications can easily become prohibitive using a trial and error process. This holds especially when dealing with multi-physics problems—such as acoustic-structure interaction—where it is difficult to realize design improvements intuitively due to the complexity of the coupled physics. Compared to classical shape optimization, where a near optimal shape has to be supplied as an initial guess, topology optimization allows for innovative designs through a completely free material distribution, such that the topology can change during the optimization process. The goal of this article is to provide a comprehensive critical review of the proposed strategies for topology optimization of coupled acoustic-structure interaction problems. The work includes a comparison of topology optimization formulations with density, level set, and evolutionary-based methods and discusses the corresponding strengths and weaknesses through the considered application examples. The review concludes with recommendations for future research directions. Cetin B. Dilgen and Sumer B. Dilgen contributed equally to this work. 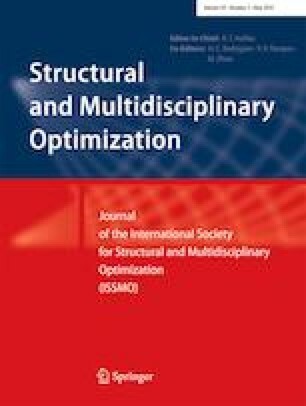 The authors would like to acknowledge the members of the DTU TopOpt group for numerous discussions and good advises on different aspects of performing multiphysical structural optimization.